Bella Cupcakes: A Hooting good time! 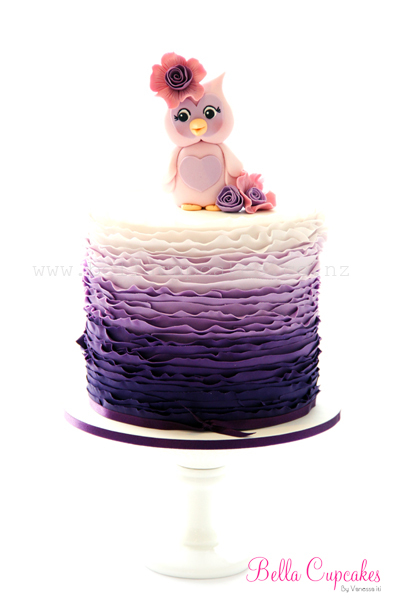 I made this ombre ruffle cake with cute owl topper for a lovely lady who was throwing her best friend a surprise birthday party. I have been overwhelmed by all the wonderful response via my Facebook page!! 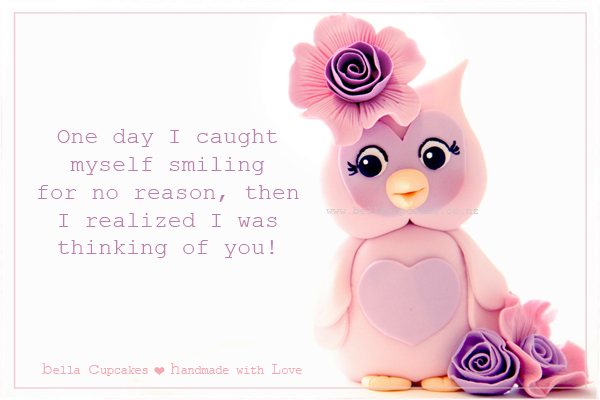 I had so much fun making little Miss Hoot and love the little say that I found. I absolutely loved creating this cake and loved making all those ruffles!!! Ruffles and me are very very good friends :) I'd put ruffles on all my cakes if I could! The Owl is sooo cute! And i love the ruffles. Am always amazed at how delicate those ruffled layers look! Great job. I love all the package of cupcakes specially the owl and the ruffles is excellent. Thank for share this one.. I love your cakes they always look so perfect. 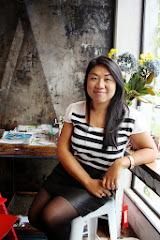 I have nominated your blog for the Versatile Bloggers Award. Wowww your creation is just awesome! That owl is soooo cute and it goes so good with the cake design. Can you please post a tutorial on how to do the ruffles...they are absolutely gorgeous and I would love to give it a go! Thanks all the way from the UK, your website is inspiring! Trong tiệc sinh nhật ngoài bánh sinh nhật chúng ta còn có thế gửi tặng những bó hoa sinh nhật đẹp nhất đến người nhận. Shop hoa tươi chúng tôi sẽ giúp bạn gửi những bó hoa sinh nhật đẹp đế tận nơi cho khách hàng. A new passion has also sprung from my love of cupcakes and that is photography! I am still very much new to the photography world ...... All I can say is I love my camera and love taking photos! Either good or bad .... I'm having a ball!!! Love! Eat cupcakes! & Smile!